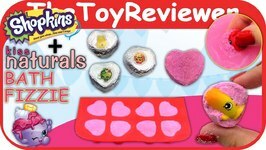 Watch as we turn awesome Kiss Natural Bath Fizzie Kit into custom Shopkins bath bombs! We use Shopkins Stickers, Real shopkins, and candy wrappers! Let the fun bubble to .. 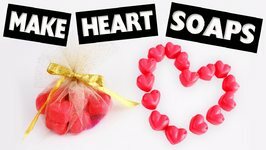 In this video I will show you how to make Cute Heart Shaped Soaps in less than 5 Minutes , using three main ingredients: soap base, soap color and essential oil or fragrance.